Following the update, Ms Hayden commented on how brokers were a key channel for consumers, particularly given the ongoing Royal Commission into Misconduct in the Banking, Superannuation and Financial Services Industry. Ms Hayden said: “When there’s noise in the market [for example, with the royal commission], people get confused and need help from professionals — so that is good outcome in relation to consumers seeking assistance from brokers. However, the COO warned of unintended consequences that could manifest from some of the conversations being had around changing the duty applied to mortgage brokers. Speaking about the suggestion to potentially lift the current legal duty for brokers (from finding a loan that is “not unsuitable” to finding one that is in the “best interests” of the customer), Ms Hayden conceded that the current duty might sound “a bit lacklustre or a low hurdle” but added that a best interest duty would be more damaging than beneficial. She said: “What they’re talking about bringing in is a duty for working in a client’s ‘best interest’, which they’ve done in the UK (and [Australia] does follow the UK quite extensively). Ms Hayden warned that this would result in brokers “truncating” their lender panel down to six or seven lenders so that they could make the appropriate checks of each of their products. 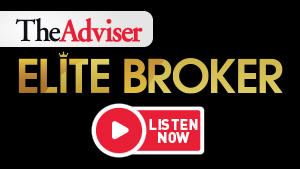 “So, while it sounds like a better [duty], and it’s a great headline comment, what would actually happen is that brokers’ behaviour would result in them reducing their lender panels which is not great for customer[s],” Ms Hayden added. During the breakfast meeting, Ms Hayden also provided an update on how HashChing is seeking to deliver on its “aspirations of being the number one financial marketplace for Australian consumers”. Noting that HashChing obtained an Australian Credit Licence (ACL) in June of this year, the COO said that the platform aims to roll out a HashChing-branded white label home loan, as well as a white label business loan and home improvement loans. HashChing is also reportedly working to launch into the UK market within the next 18 months.